What the hell happened to my brain? Kate Swaffer was just 49 years old when she was diagnosed with a form of younger onset dementia. 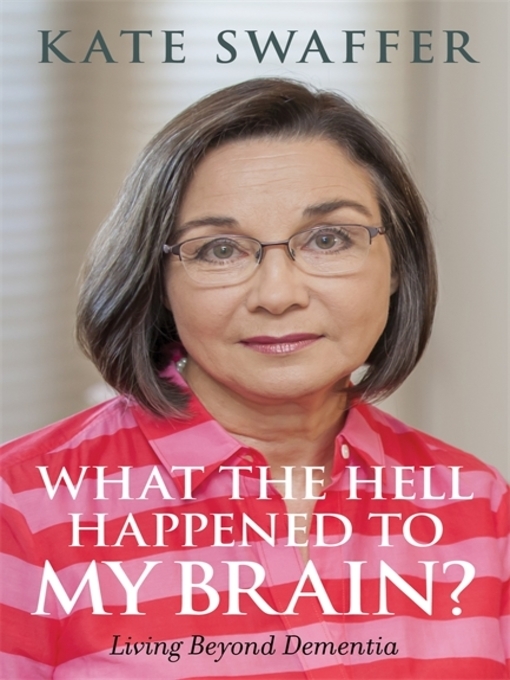 In this book, she offers an all-too-rare first-hand insight into that experience, sounding a clarion call for change in how we ensure a better quality of life for people with dementia. Kate describes vividly her experiences of living with dementia, exploring the effects of memory difficulties, loss of independence, leaving long-term employment, the impact on her teenage sons, and the enormous impact of the dementia diagnosis on her sense of self. Never shying away from difficult issues, she tackles head-on stigma, inadequacies in care and support, and the media's role in perpetuating myths about dementia, suggesting ways in which we can include and empower people with the diagnosis. She also reflects on the ways in which her writing and dementia advocacy work have taken her on a process of self-discovery and enabled her to develop a new and meaningful personal identity. Kate's powerful words will challenge misconceptions about dementia, and open our eyes to new ways of supporting people with the diagnosis. A must read for people with dementia and their families as well as for professionals and carers. Dr Shibley Rahman - Author of introduction, etc. Glenn Rees - Author of introduction, etc. Richard Taylor - Author of introduction, etc.